In a recent decision of the BC Court of Appeal, Pakozdi v. B & B Heavy Civil Construction Ltd., 2018 BCCA 23, the Court clarified when post-termination income from a second job counts as mitigation. David Pakozdi, the respondent, was an experienced bid estimator and construction professional. After providing briefly providing consulting services to B & B Heavy Civil Construction Ltd., the appellant, for a couple of months, he became an employee of the appellant in January 2014. When he started working for the appellant, it was agreed to by the parties that Mr. Pakozdi could continue to provide consulting services to some of his former clients as long as it did not interfere with his duties or create a conflict of interest. Further to this, Mr. Pakozdi did some consulting work for Mainroad towards the latter part of 2014. His earnings from Mainroad varied from month to month. His salary from the appellant was $130,000 per year. In January 2015, approximately one year after he started working for the appellant, the appellant terminated Mr. Pakozdi’s employment and provided him with approximately two weeks notice. Mr. Pakozdi sued for wrongful dismissal. The trial judge noted that Mr. Pakozdi was entitled to five months reasonable notice based on his experience, age and length of employment but that he should receive an additional three months because his physical and medical condition would make it more difficult for him to find alternative employment. B & B argued that Mr. Pakozdi was not entitled to any damages as he had earned more than he would have earned at B & B in the three months after his termination through the work he did for Mainroad. The trial judge disagreed with B & B’s argument on the issue of mitigation and held that where an employer was aware that an employee would be working at two jobs, it was proper to exclude the post-termination income from the second job, from the calculation of damages. B & B appealed the decision on two grounds – the issue of mitigation and the length of the notice period. Mr. Pakozdi cross-appealed on the employer’s failure to award damages relating to the loss of RRSP payments. The Court of Appeal disagreed with the trial judge’s two-step analysis of assessing the proper notice period and held that while an employee’s health could be relevant to the assessment of the reasonable notice period, it was not an independent factor that would increase the notice period. The Court noted that in any event, Mr. Pakozdi’s health did not affect his ability to work as he had continued to consult while working for B & B and had accelerated his work, after he was terminated. Based on this analysis, the Court held that the proper notice period was five months. On the issue of mitigation, the Court stated that mitigation can arise in one of two ways: (1) reducing the loss by taking reasonable steps to replace the lost income through new employment, or avoidable loss; and (2) when the loss is reduced by replacing the income with new income that would not have been earned if the previous employment relationship had continued, i.e., avoided loss. The issue in the Pakozdi case was whether Mr. Pakozdi had effectively “avoided loss” by ramping up his consulting business and replacing his employment income during the notice period, with that consulting income. The Court held that the trial judge had erred in excluding all income from the second job. What should properly be excluded is the income from the second job that could have been earned had the employment from the first job continued. In other words, the question is “whether the new income is replacement income regardless of the source of the income or a continuation of supplementary income being earned prior to the dismissal”. Applying the above principle, the Court calculated that approximately $30,000 of Mr. Pakozdi’s earnings during the five-month reasonable notice period was replacement income and should be deducted from the damages otherwise payable to him by the appellant. The Court also allowed Mr. Pakozdi’s cross appeal in part and awarded him a modest sum of $2,500 for the loss of RRSP payments. Income from a second job can amount to mitigation and will be deducted from damages owed to the employee, if the income from the second job is found to be replacement income. 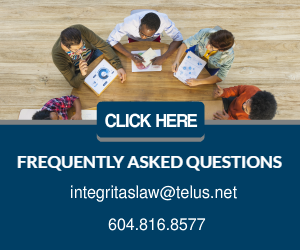 While an employee’s health could be relevant to the assessment of common law reasonable notice, it is not an independent factor that would increase what would otherwise be the proper notice period.